Rectangular card with a pencil and watercolour drawing depicting designs for two rings, the first of which is gold signet ring, hte centre of which is inlaid with black and white enamel depicting the white rose of Yorkshire. 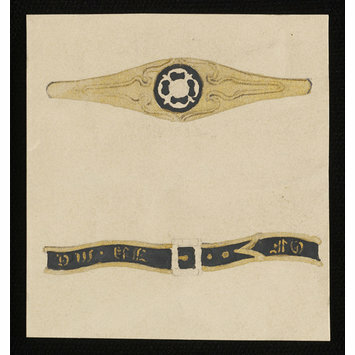 The second design is comprised of a rippled black enamel band, bordered with gold, in the centre of which is a square buckle, probably made up of diamonds. 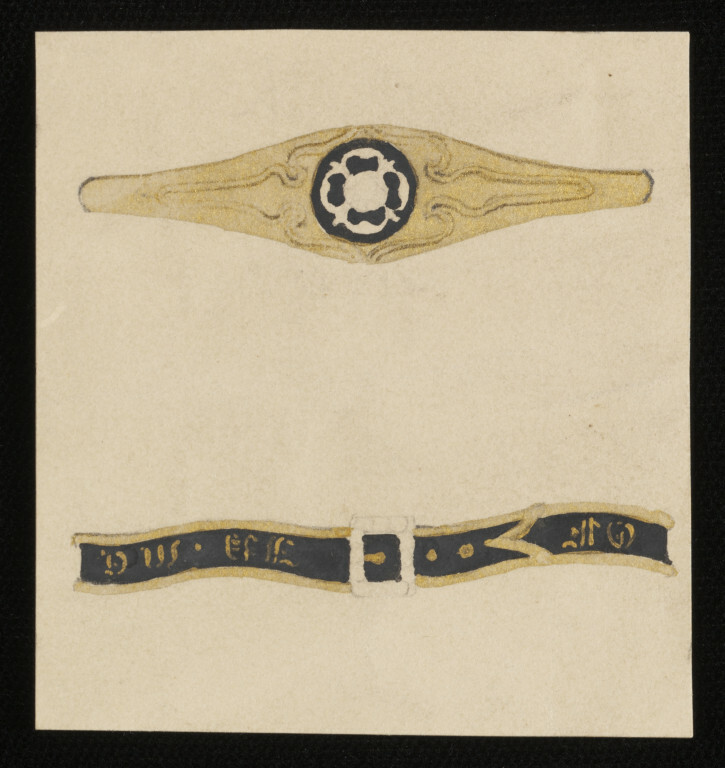 The band is inscribed with indecipherable gold lettering.